transcosmos Korea, Inc.(Headquarter: Seoul, Republic of Korea; President and COO: Kwon Sang-chuel; transcosmos Korea), a business process outsourcing provider in the Republic of Korea and a subsidiary of transcosmos inc. (Headquarters: Tokyo, Japan; President and COO: Masataka Okuda), opened a new contact center, “Busan Center No. 2” in Busan, Republic of Korea, on October 15, 2018. Operations room, break room, cafeteria, etc. Located in a major commercial district in Busan, “Busan Center No.2” enables transcosmos Korea to capture and adopt diverse information and cutting-edge technology ahead of others. As the center sits in a transport hub, the new center gives a great access for commuting, offering a promising opportunity to create jobs for many. 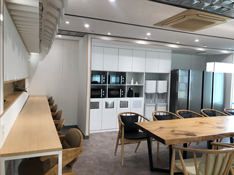 The facility is designed to offer a comfortable workspace for employees to concentrate whilst creating a café-like break room with a sofa to let employees refresh in a stylish space. 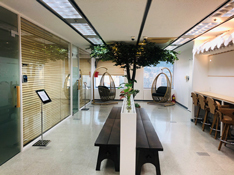 transcosmos Korea opened this new center in Busan with the aim to further expand its service center network across the country. “Busan Center No.2” is the 14th center in the Republic of Korea. 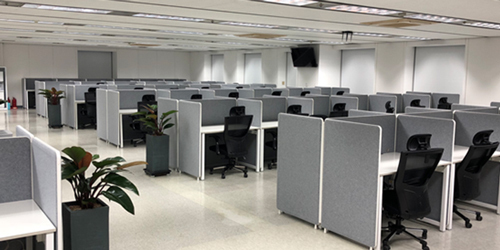 transcosmos Korea will continue to increase service bases and widen its service coverage in order to satisfy clients’ various requests whilst contributing to the revitalization of local communities through the creation of jobs across the Republic of Korea. “Busan Center No.1” was opened in April 2003, in Beoil-dong, Busan. In September 2014, the center relocated to Jungang-daero, Busan. 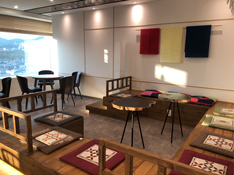 Since its opening, the center continues to contribute to the community revitalization in Busan. transcosmos Korea, a subsidiary of transcosmos inc.,offers extensive professional business process outsourcing (BPO) services that include contact center services, chat services, field services, direct mail (DM) services, direct sales (DS) services, website integration (WI) services, and internet promotion services (IPS) for businesses in the South Korean market.